There are three blocks, each uniquely coloured—Autumn Red, Spring Green and Summer Yellow—and each with two floors. 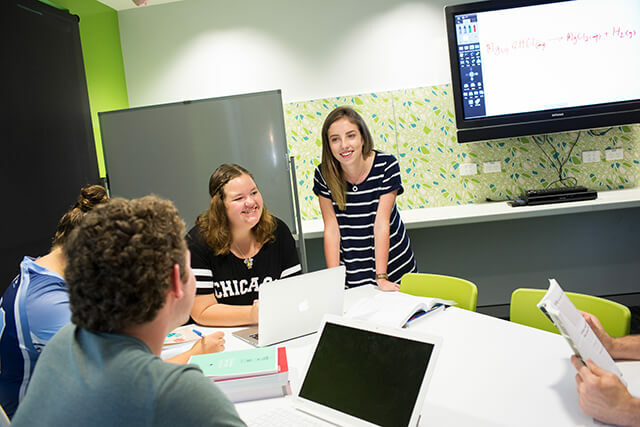 Each floor has a resident fellow who is available to assist you with accommodation queries as well as personal issues. As well, there is a community of residents eager to ensure that your college experience is the best it can possibly be. 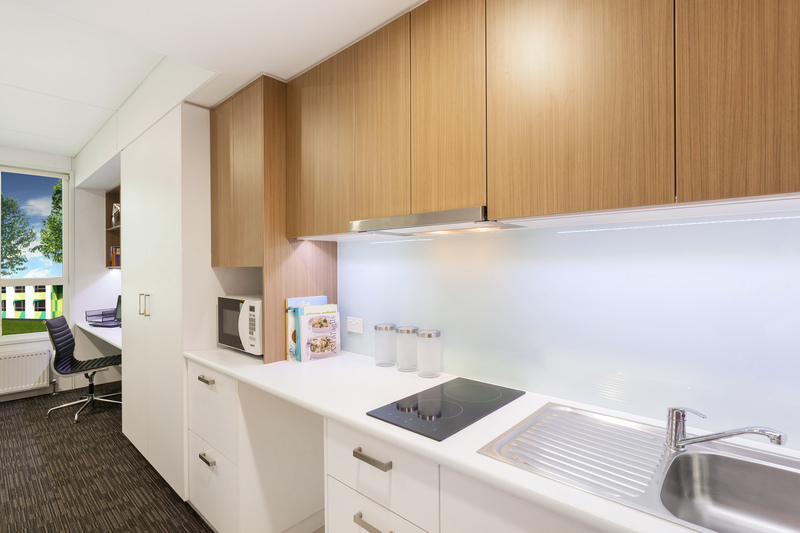 Living space including kitchenette with two plate stovetop, small refrigerator, microwave; private en-suite bathroom; study area with free Wi-Fi, multiple power and data outlets, central laundry facilities. Suitable for single occupancy. 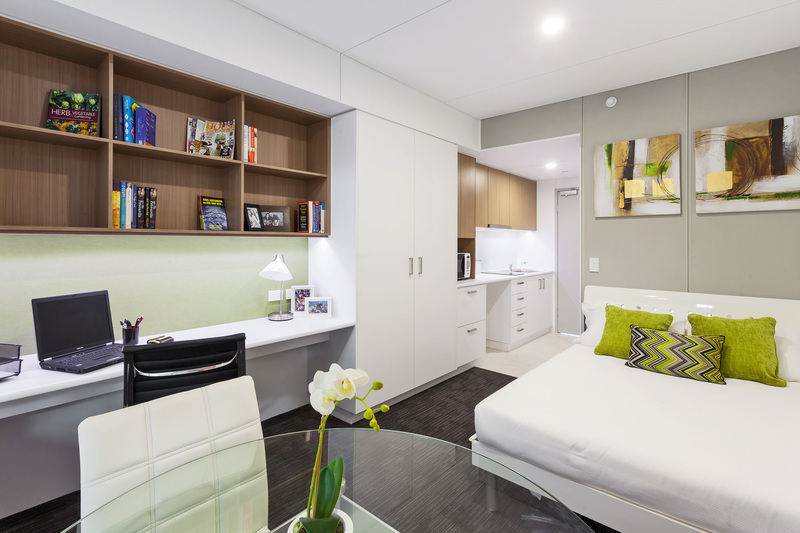 Larger single living space including kitchenette with two plate stovetop, small refrigerator, microwave; private en-suite bathroom; study area with free Wi-Fi, multiple power and data outlets, central laundry facilities. Larger living space with separate bedroom. 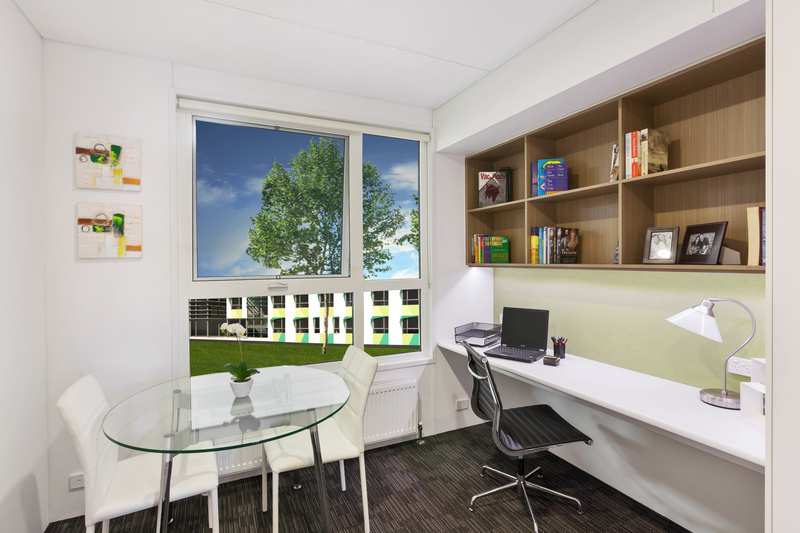 Fitted with kitchenette with two plate stovetop, large refrigerator, microwave; private en-suite bathroom; study area with free Wi-Fi, multiple power and data outlets, central laundry facilities. 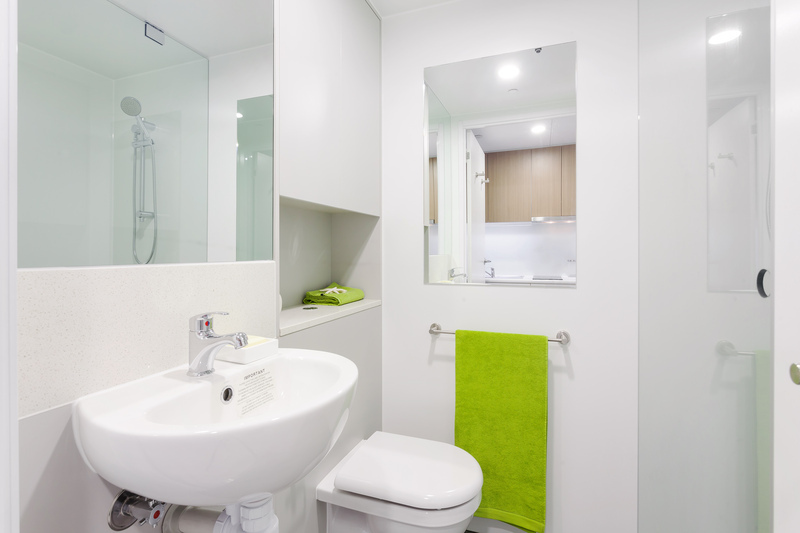 Suitable for dual occupancy. large window with a great view! TV output, ethernet port, multiple power outlets and unparalleled Wi-Fi access. The new Wright College buildings were completed and opened in 2015. 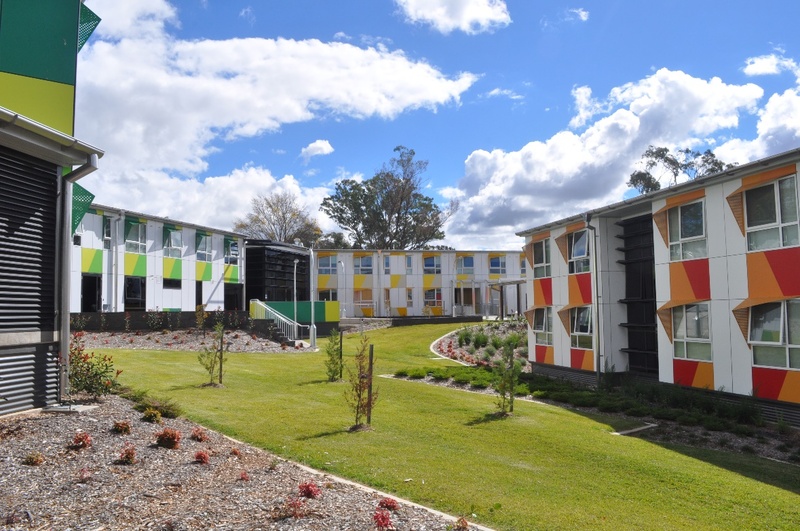 Known throughout construction as "UNE's newest college", the name of Wright College was decided in honour of the historical Wright College, and to complete the 'Wright Precinct" - which, together with Wright Village, incorporates the independent, self-catered accommodation options at UNE. 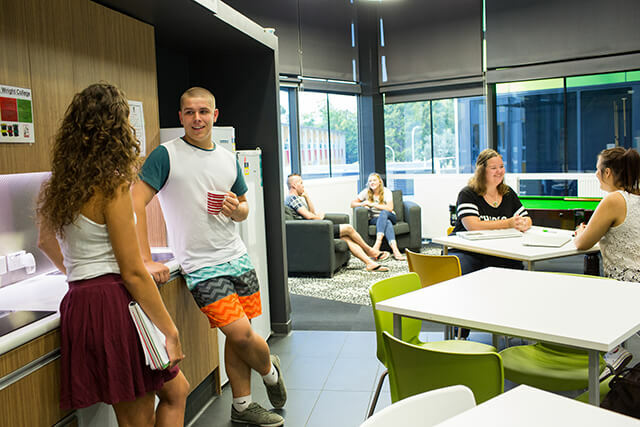 This development keeps pace with the latest in design for college accommodation and provides students with more modern facilities and a new option in on-campus accommodation. 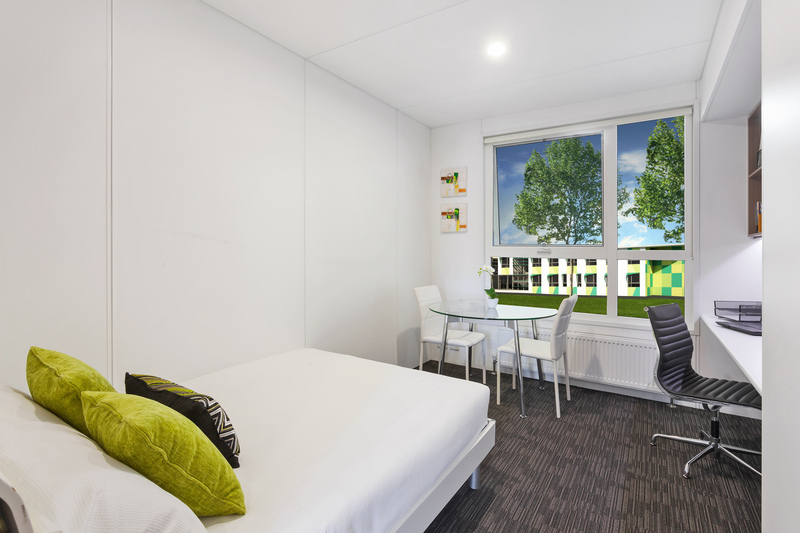 Not only do you have your own in-room kitchenette and en-suite bathroom, there are also state-of-the art study and collaboration spaces, and outdoor community areas. 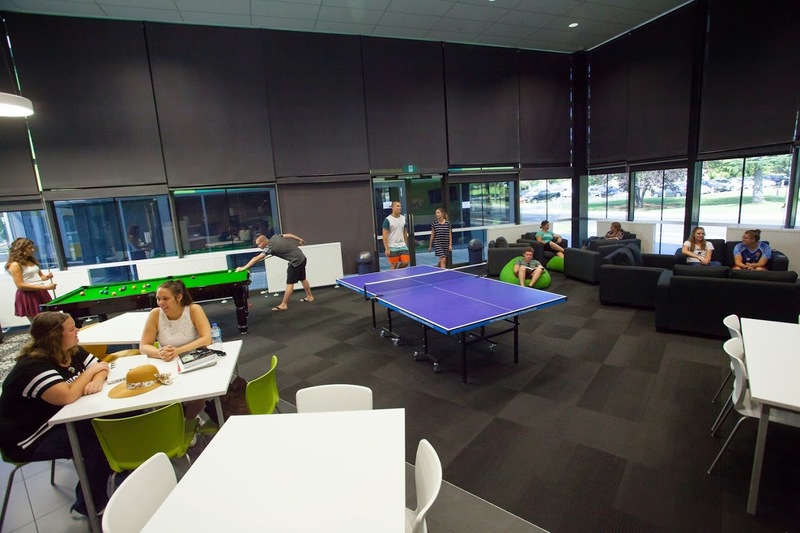 During the construction stage, when it was known only as "new college", UNE commissioned a virtual tour of a digital Wright College. 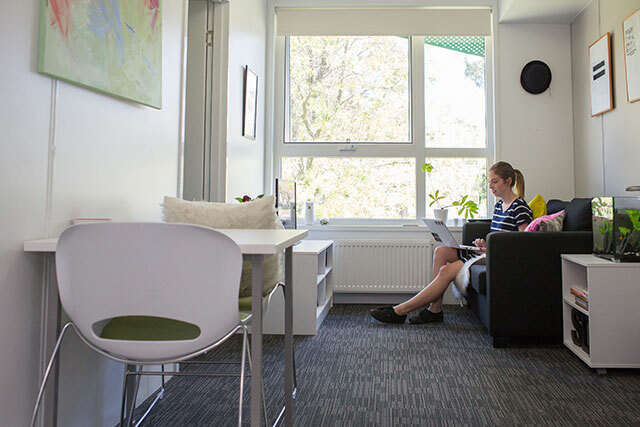 Wright College is self-catered accommodation. 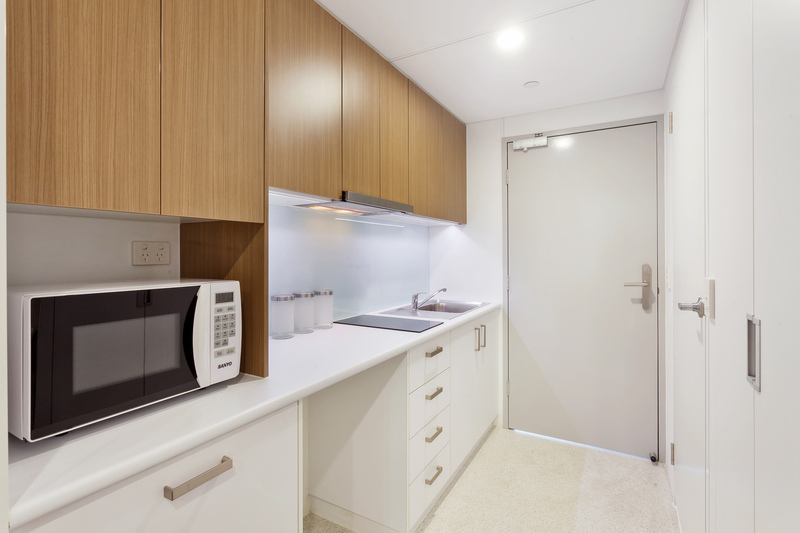 You will have your own in-room kitchenette with hotplate, microwave, medium fridge, and pantry space. 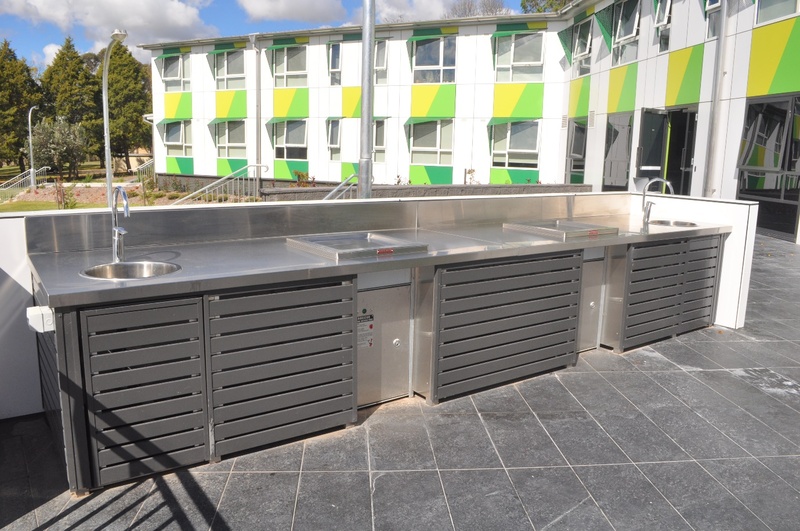 There are also common cooking areas in each block and in the College common rooms, as well as multiple BBQ areas. You can purchase meals from Walter's Cafe, located in Austin College, as well as from several venues on campus.